Is the Lumia 1030 Microsoft's first flagship? You are here: GeekSays Technology News » Microsoft » Is the Lumia 1030 Microsoft’s first flagship? Is the Lumia 1030 Microsoft’s first flagship? A few days ago we saw the first photos with the Mircosoft RM-1052, a device which was looking very similar to the Nokia Lumia 1020, an amazing smartphone in terms of camera. Apparently, we were looking at the Lumia 1030, which could be the first flagship released by Microsoft since it replaced Nokia on the smartphone market. Is that a PureView camera? The device, also known as McLaren, was leaked online, giving as an idea about how it will look. 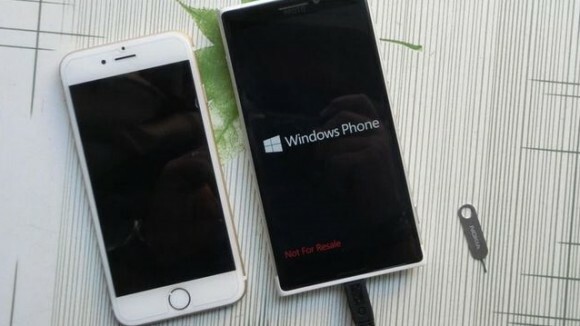 According to Phone Arena, more than 50 pictures were leaked and in some of them, the Lumia 1030 is shown alongside the iPhone 6. As you can see, it’s definitely going to be a big smartphone, sporting a display of about 5 inches. 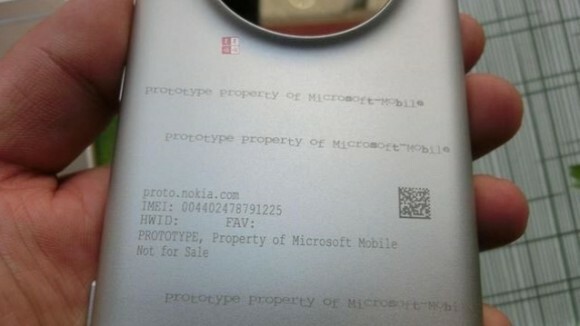 Also, another image presents a label saying ‘prototype property of Microsoft Mobile‘, while Nokia is not mentioned, meaning that the footage is recent, so we could be looking at the final version of the Lumia 1030. For the moment, except these leaked pictures, there aren’t other details available about the Microsoft Lumia 1030, but one thing is clear: the manufacturer is working at the next big thing for Windows Phone! The design is very similar to what Nokia used us with, but we’re hoping to see some impressive processing power under the hood too, as it would be a shame if such an impressive camera will team up with mid-range specs. What do you think about the Lumia 1030? Would you buy it if it were to feature a PureView camera?